it’s some time ago I wrote the last article because I am increasingly focused in recent months on Office365. Some of the following posts will deal with the pitfalls and problems in setting up Office365. 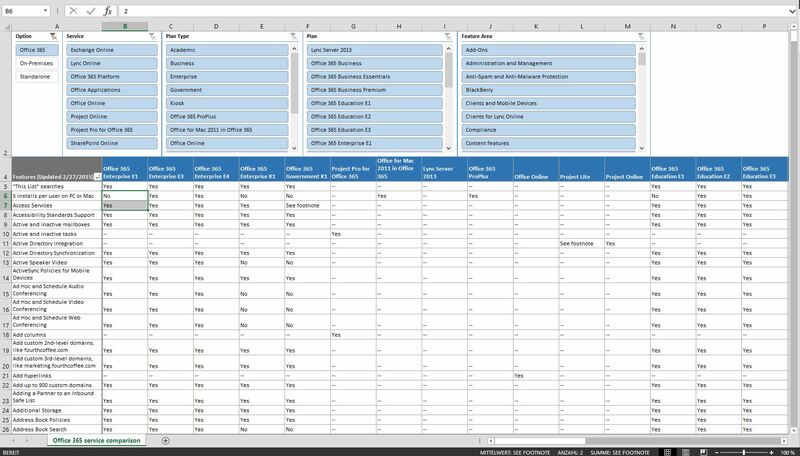 Here, however, once a comprehensive overview of the features of Office 365 in tabular form. The table is regularly updated by Microsoft.